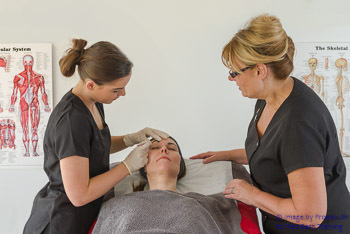 Including lash and brow tinting, brow shaping, strip and flare lashes. This course has never been so popular and is ideal for complete beginners who wish to add to their skill set or as a pre requisite to the semi-permanent eyelash extension course. Course duration: 1 day plus 5 independent case studies with a further ½ day trouble shooting with a written and practical assessment. Appearance: A professional tunic, flat closed in shoes with anti-slip soles. Hair tied back, no jewellery (except for a watch and a wedding band) and no nail polish or enhancements. To complete this course, students must be prepared to give and receive the treatment.